The reason: “Enterprises face increasing complexity, which results in spiraling costs and operational challenges,” according to 451 Research. The reason: “Cloud management has become very complicated because of the jumble of clouds, containers and venues,” report the analysts. “Making cloud work ‘as advertised’ to deliver key benefits such as speed and scale is getting harder. At Kentik, we licensed this 451 Research report because we’re seeing many of these same trends emerging for enterprises and service providers, and we wanted to share the analysts’ recommendations for success. That’s also why we’re continuously innovating on our modern network analytics platform. It is our goal to support our enterprise and service provider customers throughout their entire cloud transformation (and beyond), providing granular visibility, not just into the cloud, but via the insight and analytics needed to run all networks: old and new; the ones our customers own and the ones they don’t. 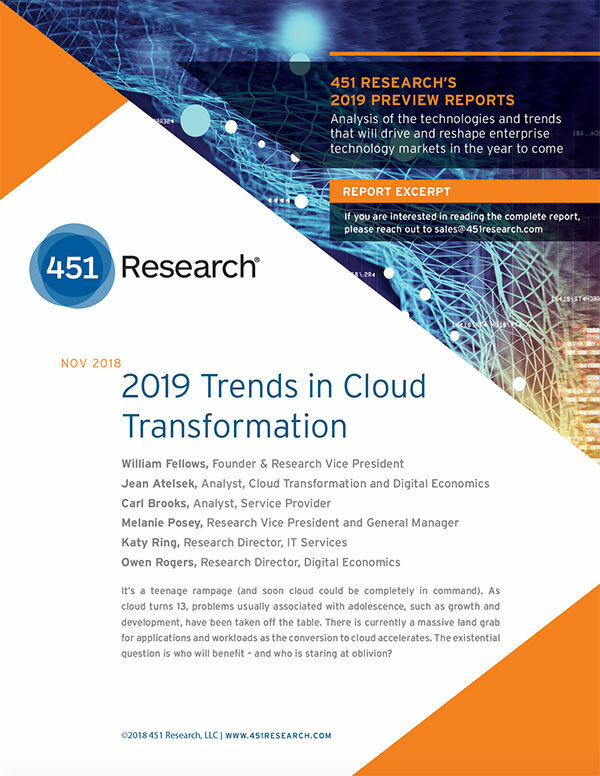 More Trends: Read the analysts’ deeper dive and check out all of the other trends, and cloud transformation winners and losers in the 451 Research report here.